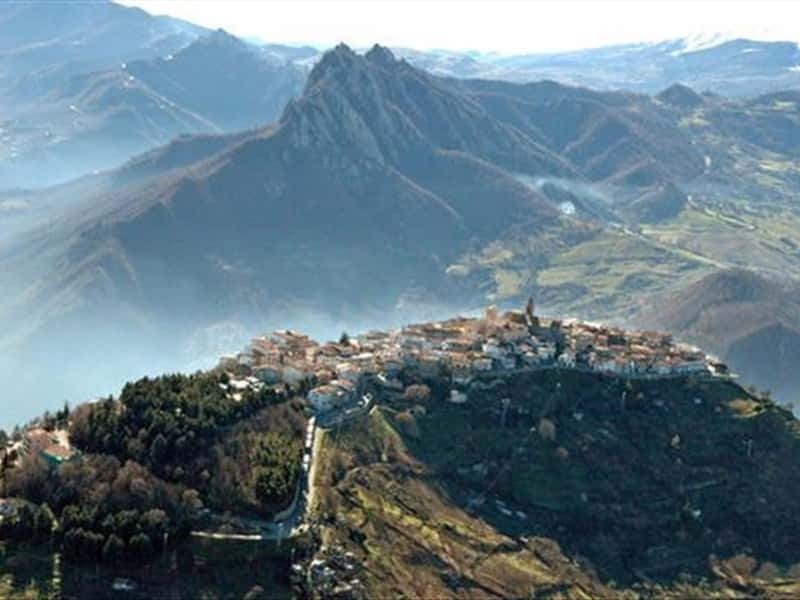 A town in the province of Potenza, located in a predominant position, overlooking the valley of Basento, Trivigno (formerly called "Trivinea) was a Norman fief, mentioned, for the first time, in an Anjou feudal taxation bulletin (1276-1277). In the XII century the town was ceded to Guglielmo Monaco, while in 1265 it became the residence of the Albano. It remained deserted in the XIV century and was repopulated during the domain if the Carafa in 1595. - the numerous rural cavern churches. This town web page has been visited 23,185 times.